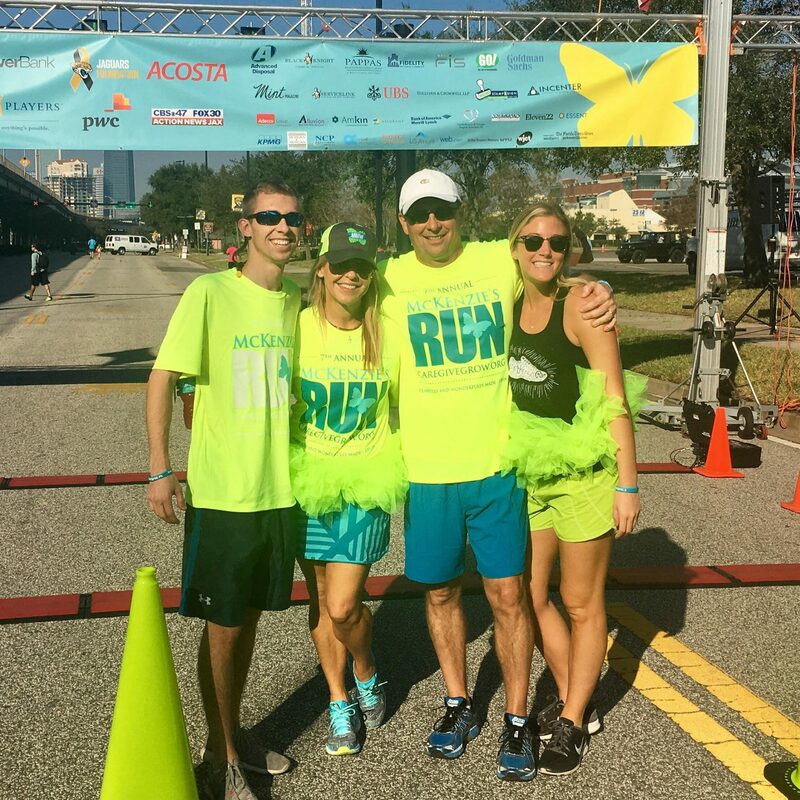 The 7th annual McKenzie Run, hosted by the McKenzie Noelle Wilson Foundation, was a huge success Saturday morning at EverBank Field. The McKenzie Noelle Wilson Foundation was established in memory of McKenzie Wilson, a Ponte Vedra Beach teen who passed away from a rare and sudden illness at the age 15 in 2010. All funds raised support The McKenzie Noelle Wilson Foundation, a nonprofit organization that helps young people recognize their full potential through programs that encourage caring for others, giving to those and growing in their own spirituality. participants increase, which is a testament to the great work that this foundation does, the message it represents, and the influence it has on people of all ages in Jacksonville. “To be a part of such an amazing organization and event and to have seen it grow the way it has the throughout the past six years is an amazing tribute to both McKenzie and the people who have devoted their time and energy to making all this possible, says Blake Wilson, McKenzie’s older brother. “McKenzie’s Run has been a tremendous part of this foundation, and I am consistently in awe of the growth we have experienced over the years. Wilson credits the city of Jacksonville, which, he said has played an integral role in their ability to follow through with the foundations mission. “I could not be more proud to be from such an amazing community,” he said. The continued strength and dedication of the Wilson family and everyone involved in the foundation is inspiring. This year a new team was created, Team Griffin, to support the sudden and tragic loss of a Ponte Vedra teen, Griffin Moody. His family has started the Griffin Moody Scholarship Fund, which will provide scholarships for graduating seniors from Nease High School. Team Griffin was able to raise over $7000 on Saturday. It is a beautiful thing to watch a community come together in support and love. To find out more about this great organization and learn more about Mckenzie’s story, check out their website at https://caregivegrow.org/.